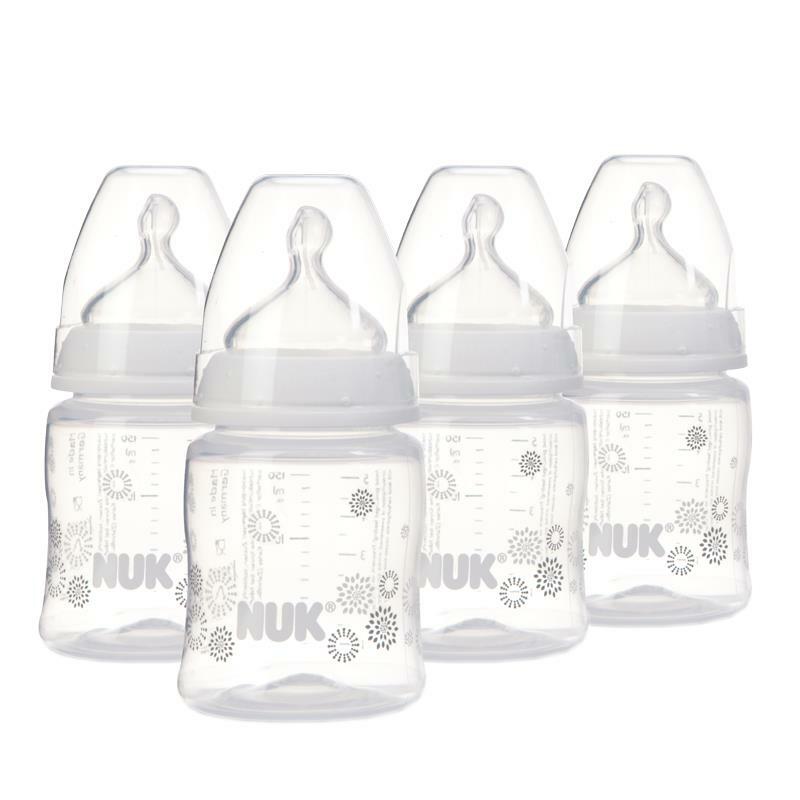 4x 150ml bottles fitted with a First Choice+ Size 1 (0-6 months)Silicone Medium Feed Hole Teat and a sealing disc for leak-prooftransportation. 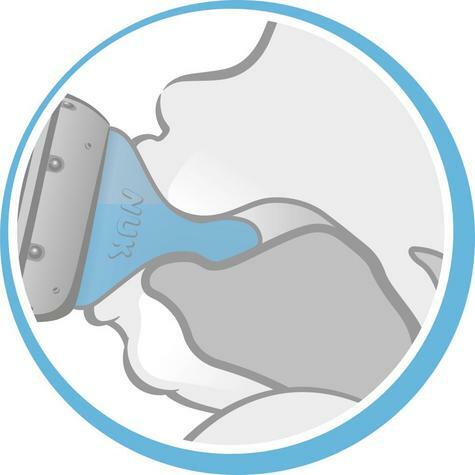 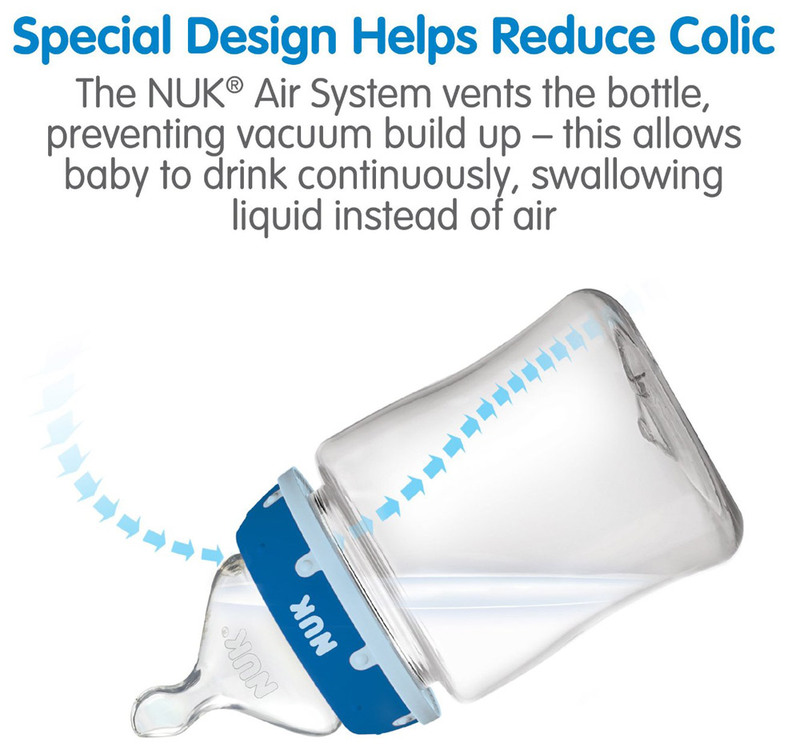 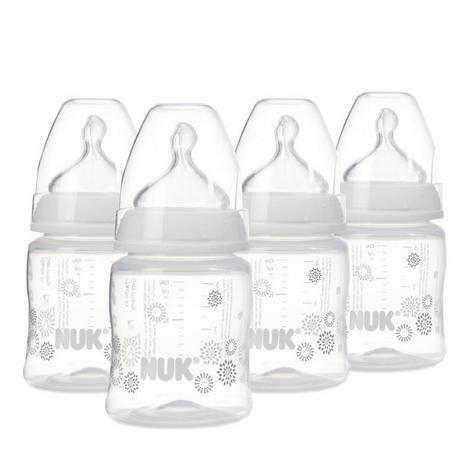 Forsafety and hygiene purposes we recommend that you replaceteatsafter 1-2 months of use or whenever they start to show signs ofwear.Prior to sterilisation we recommend using the NUK Baby BottleCleanser,it’s natural formula removes dried on milk protein, pulpandjuiceresidues more effectively than hot soapy water alone. 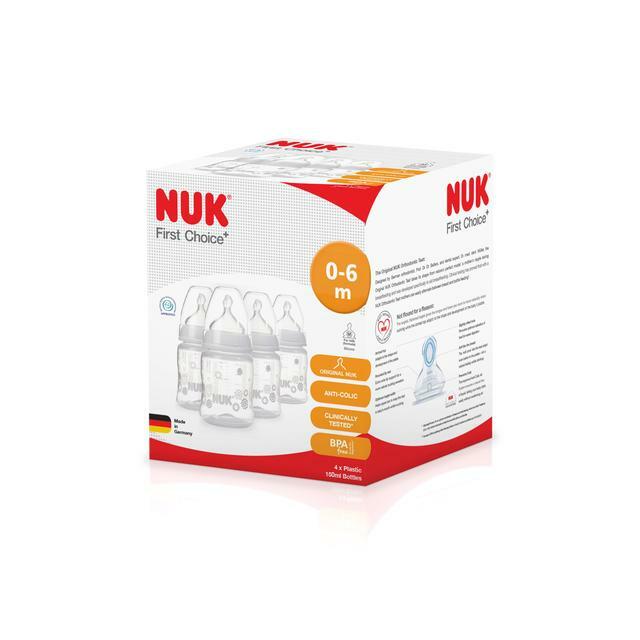 Tosterilisebottles and teats we recommend using steam, cold watersterilisation ora NUK Steam or Microwave Steriliser. 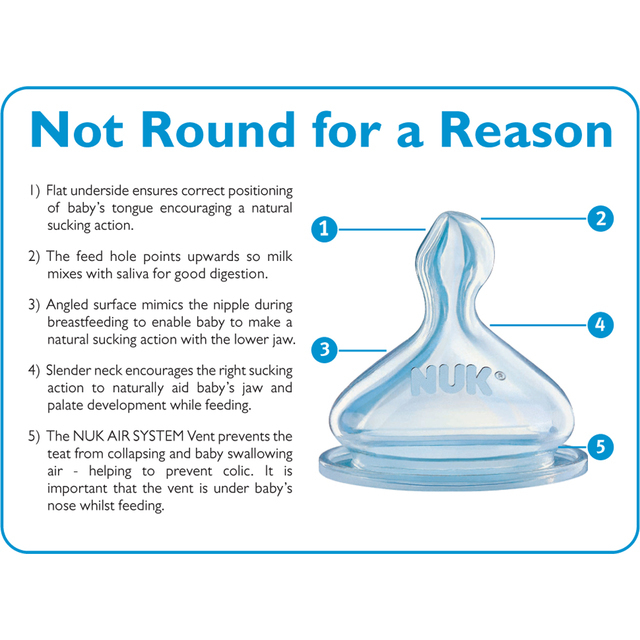 We do notrecommend dishwashersterilisation as this can cause material damage. *IMPORTANT NOTICE : NO RETURNS POSSIBLE UNDER ANY CONDITION DUE TO THISITEM IS CLASSIFIED AS HYGIENE ITEM AND CAN NOT BE RESOLD AFTER USE.